Adapted from Pam's For The Love of Cooking. After mixing, gently fold in the strawberries, making sure to coat them with flour - this helps prevent the berries from sinking while baking. In another large bowl, combine the wet ingredients (use a potato masher to break up the banana) until mixed thoroughly. 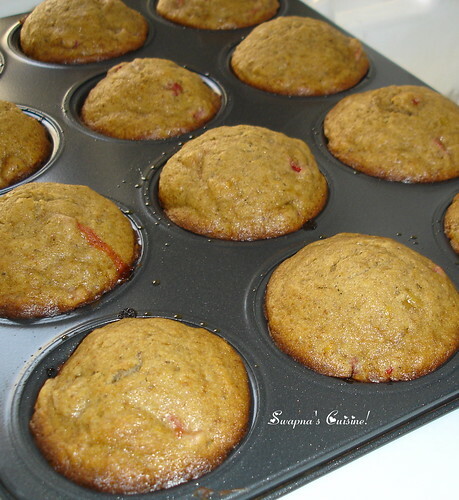 Slowly combine the wet mixture into the dry mixture, stir until just combined - do not over mix the batter or you will have tough muffins. 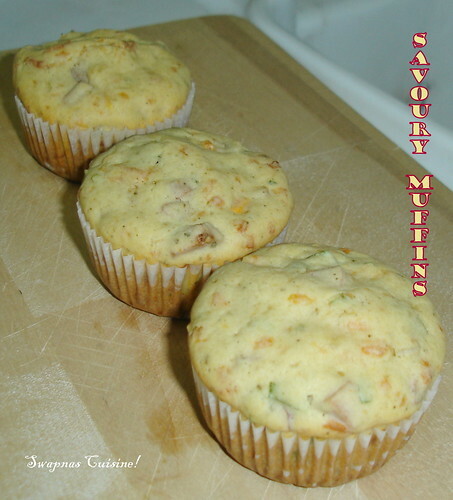 Fill the muffin tray with the batter, place in the oven and bake for 22-25 minutes or until a knife inserted in the center of a muffin comes out clean. 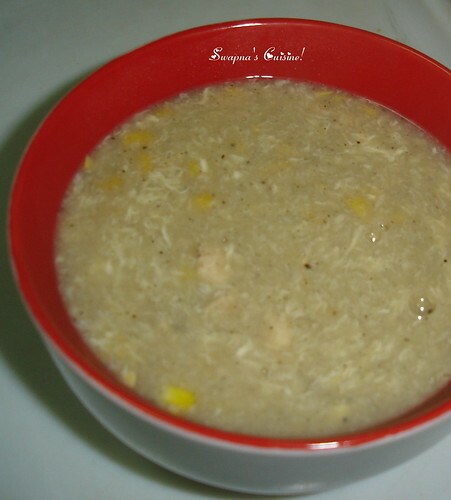 Combine 5 cups water or stock, sweet corn, salt, ajinomoto and white pepper powder and boil. When it boils, add chicken pieces and stir to break up chicken pieces and cook for 5 minutes. Thicken with corn flour mixed with water and boil for 1 minute. Reduce heat and add the beaten egg in a thin stream and stir slowly with a fork in one direction. This is a really quick and very tasty truffle if you have some left over Rich Fruit Cake! Mix left over fruit cake crumbs with little alcohol or orange juice. Shape the crumb mixture into small balls. Melt some chopped semi sweet or bitter sweet chocolate in a heatproof bowl set over a pot of simmering water. 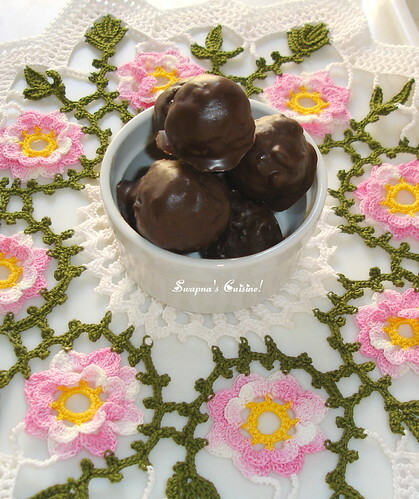 Dip each ball, one at a time, coating in chocolate and shaking gently to remove the excess. Transfer to a wax-paper lined surface, when the chocolate coating sets serve. Pre-heat oven 180°C and grease a muffin tin. Stir in butter, milk and egg until just combined. Do not over mix. Bake in oven for 15 minutes or until cooked and golden.